Hello, friends! If you don’t also follow me on YouTube, I’ve been focusing mainly on video content with the start of Vlogmas (read my ‘Welcome to Vlogmas’ post here). 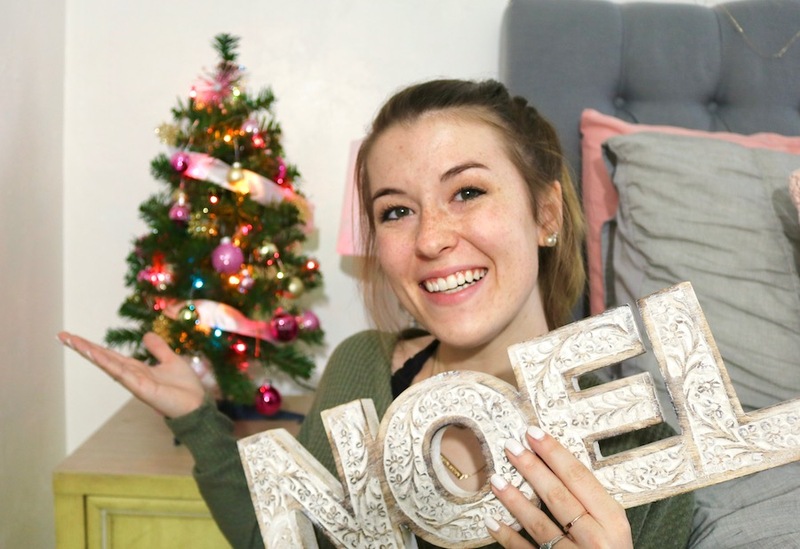 In days two and three of Vlogmas, I’m decorating for Christmas, setting up my Christmas tree, and shopping for some additional decor! Some of my Christmas decorations are linked in each video, in case you’re interested in anything. I’ll include some of my favorites here as well (links may be affiliate, at no extra cost to you)! I’m a very budget-friendly shopper and while I love decorating for this season, I try to keep things pretty simple and not over do it. Last year was my first year having my own tree, so I’m slowly expanding my own collection of holiday decor! My white tree is from Wayfair (they have a great variety of trees of all sizes, for any budget) and most of the smaller decor is from Target and Michaels. Be sure to subscribe to my YouTube for all the upcoming Vlogmas videos if you haven’t already! Happy holidays & good luck on finals to all my college gals!